ESPN TV cameras caught Philip Rivers saying Monday night what appeared to be, “This is the worst day ever,” moments after he fumbled away the snap in the final minutes of regulation Monday night as the Chargers were driving to what appeared to be certain victory at Kansas City according to the Associated Press. On Wednesday, Rivers said all the lip-readers out there are wrong. “I didn’t say that. I don’t know if I ever said that. It wasn’t the worst day ever. 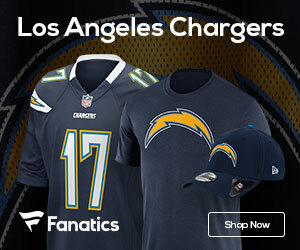 It may have been the worst play I’ve ever been a part of, but it wasn’t the worst day,” Rivers said as the Chargers began preparing to face the undefeated Green Bay Packers on Sunday. “It was rough. I mean, anytime you lose … the loss is a loss. Obviously there’s other plays in that game that could have helped us win and other plays that contributed to us losing. That one obviously had the biggest impact, most direct impact. Again, it’s a gimme. It’s a two-footer, a one-footer,” he said, using a golf analogy.